For SMBs, having a great brand is only half the battle – raising the profile of that brand is the real challenge. Green and Black’s grew from an unknown organic chocolate range to leading luxury chocolatiers, but how did they do it? 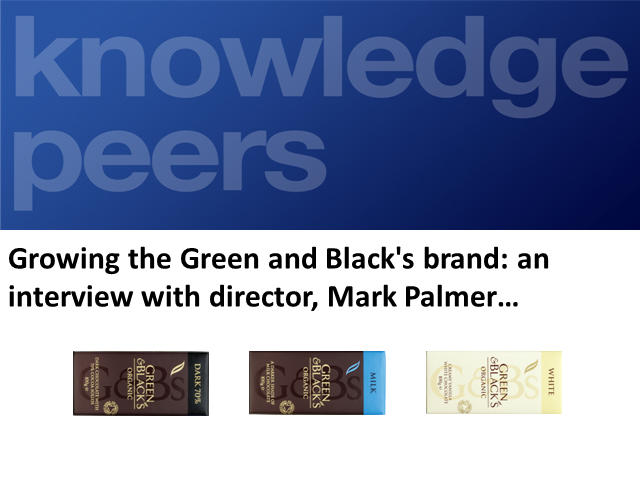 Knowledge Peers interview Mark Palmer on what kind of low-cost, high-impact PR, advertising and promotional activity made Green and Black’s an international brand. Featuring practical guidance, case studies and a live Q&A, this is a perfect opportunity for SMBs to hear from an expert. Mark Palmer joined Green and Black’s Organic Chocolate in 2001 as Marketing Director. During his time with the company, sales have risen from £4m to £60m. In 2005, Green & Black’s was acquired by Cadbury Plc and Mark now remains with the company in a Non-Executive capacity, having spent the past 3 years overseeing the roll out of the brand to new markets including the US, Canada and Australia.